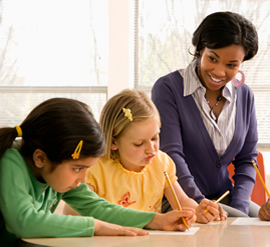 Teacher Matters provides access to practical classroom management and discipline resources. We invite you to explore the option of downloading our apps or accessing our content online using your browser. 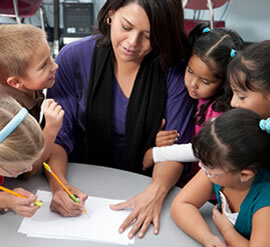 Classroom Management When classroom management strategies are effective, teachers minimize the behaviors that impede learning for both individual students and groups of students, while maximizing the behaviors that facilitate or enhance learning. Classroom Discipline Many teachers, especially new teachers, struggle with classroom discipline. Our content is designed to provide teachers and teachers-in-training with the tools and information to assist in understanding many of the issues faced in the classroom. 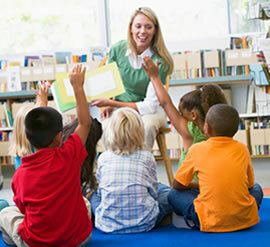 Teaching Strategies Teaching Strategies focuses on a variety of teaching methods and strategies designed to assist teachers in developing skills in managing a range of classroom management and behavioral problems. Discover Teacher Matters presents a set of interactive self discovery analysis tools designed to assist in discovering what your approach might be to managing the classroom and behavioral problems. The only way to do great work is to love what you do. If you have not found anything that suits you, keep looking. 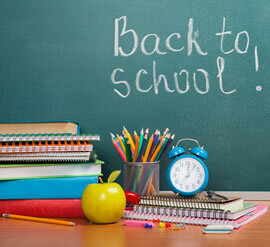 We are a great company that takes care of creating and making products suitable for all teachers. First year teaching tips focusing on information designed to assist those who are either teachers-in-training or first year teachers. Teaching strategies designed to assist teachers in developing skills in managing a range of classroom management and behavioral problems. The strategies presented in this section are likely to be encountered by teachers on a day-to-day basis..
Each strategy provides a description of the problem, probable causes of the problem, the strategy's goal and finally the plan - how to implement the strategy. Discover your knowledge about different behavioral problems. The Apps below are now available for both Android and iOS and include Models of Discipline, Roles of the Teacher, Teaching Strategies 1 & 2, and Creating Discipline Plans. We have more in the design/conceptual stage and will announce them on the website as soon as they are completed. Teacher Matters is a subscriptions only, resource for teachers, teachers-in-training and other professionals who are seeking information about classroom management and discipline. By joining our site and becoming a full member you’ll gain immediate access to our range of premium materials. Within the private, members-only area, you’ll find a comprehensive source of in-depth information, including articles focusing on contemporary theories on behavior management. Why not join now to get immediate access to all Teacher Matters’ resources. Simply select an option below to find out your Discipline Belief, your Teaching Style, your Classroom Management Profile and your approach to solving Classroom Behavioral issues. How aware are you of Behavioral Problems? We welcome all communications relating to Teacher Matters. Please provide your details in the form below and we will get back to you as soon as possible.